Watch Alexis Sanchez's Instagram video of him driving to Manchester United's Carrington training base. Alexis Sanchez has returned to the Manchester United training base after his injury rehab in Chile. The 30-year-old - who has struggled to assert himself at Old Trafford since his arrival from Arsenal almost a year ago - posted on Instagram a video of him driving into the Carrington training complex to the tune 'Now We Are Free' by Hanz Zimmer. It was posted as Ole Gunnar Solskjaer begins his tenure as interim boss following the sacking of Jose Mourinho on Tuesday. The first game under the Norwegian is an away trip to Cardiff on Saturday, but Sanchez will not feature. The Chilean arrived back at HQ after being forced to deny reports that he won a bet with fellow United players on when Mourinho would be sacked. The forward has been in Chile since early December after sustaining a hamstring problem in training, having made just five Premier League starts this season - and only 17 since his January swap deal with Henrikh Mkhitaryan. 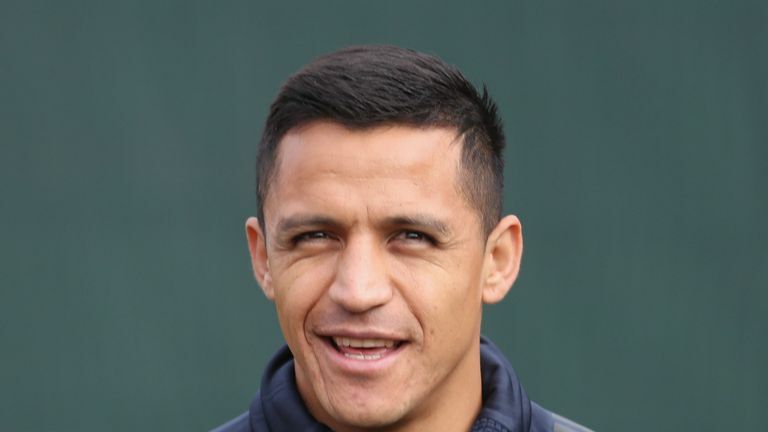 Reports in Chile during his stay claim Sanchez is unhappy at Old Trafford and wants to leave in January - something former boss Mourinho denied. But it remains to be seen whether Sanchez can work his way back into the team and thrive under Solskjaer, as United plan for a long-term successor to Mourinho to be appointed next summer.